This week is national science and engineering week. 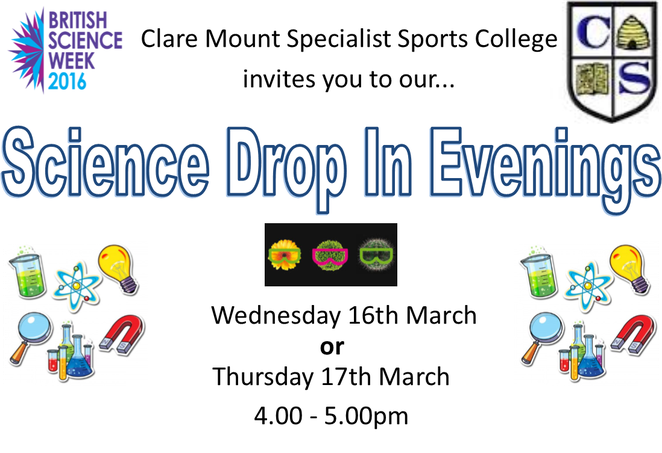 To celebrate, students at Clare Mount will be taking part in all kinds of exciting experiments during their science lessons. We are also offering a drop in session, on Wednesday and Thursday after school (4pm - 5pm), for parents and carers to take part in some of the experiments that our students have been working on.